The Momentum Support team at St. James’s Hospital has been awarded the IASI Gold Level Accommodation award. 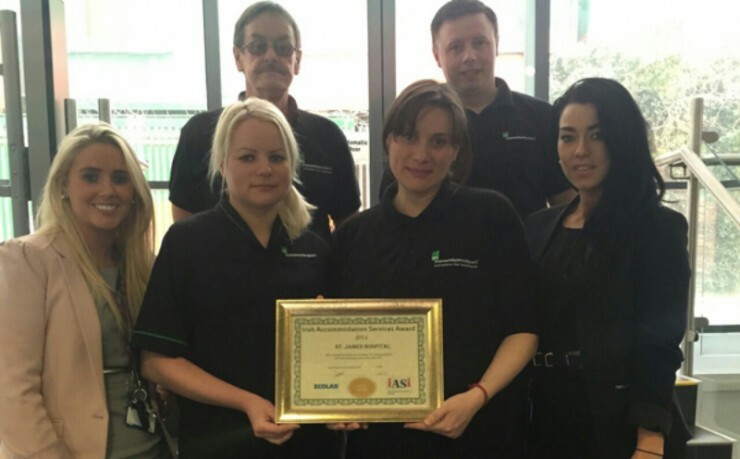 Congratulations to the Momentum Support Team at St. James’s Hospital Dublin on achieving an IASI Gold Level Accommodation Award 2015. 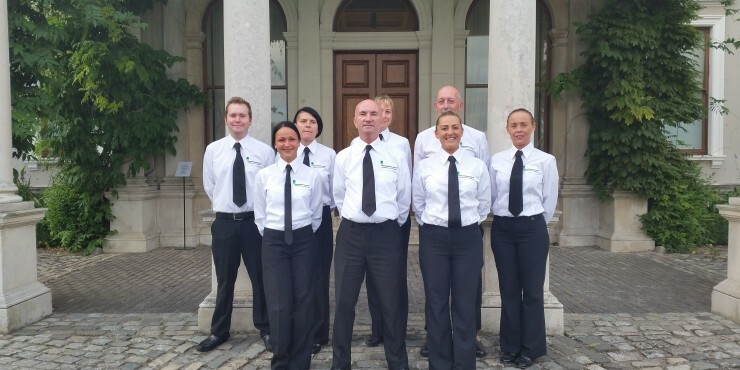 The IASI is the Irish Accommodation Services Institute and the IASI Gold Level Accommodation Award represents a major recognition for the team. This industry Gold Level Award is awarded only to those best in class teams, which is a tremendous achievement for the team involved, rewarding exceptional dedication and professionalism. The award win is recognition of the Cleaning team’s dedication and hard work, and their supervisor Laura’s tireless efforts. Laura and her team have built on the excellent standards they have set over time with a foundation of hard work and disciplined effort from each member of the team. The H&H Accommodation Building at St. James’s was the site awarded the gold level with an amazingly high score of 98% overall from a team of industry judges. The judging was carried out by an industry judge who undertook spot checks throughout the Accommodation Building. During the judging close attention was paid to all aspects of cleaning criteria. This award is a great accomplishment and well deserved for the team in St. James’s who work tirelessly to achieve the goal of delivering the highest standards in cleanliness and hygiene. 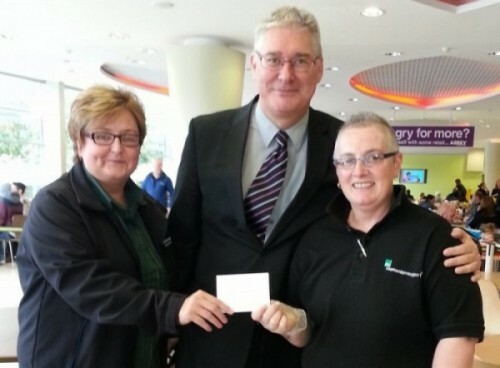 Momentum Support Delighted to Celebrate 10 Years of Successful Partnership at Dundrum Town Centre. Momentum Support recently celebrated the 10th anniversary of both the opening of Dundrum Town Centre, as well as working in partnership with the premium shopping destination right from day one. In recognition of the long standing working relationship between Momentum Support and Dundrum Town Centre, Momentum Operations Director Mary Patterson presented Dundrum General Manager, Don Nugent, with a specially-commissioned, framed caricature of Don and Momentum Site Manager, Catherine Gregg Louro. 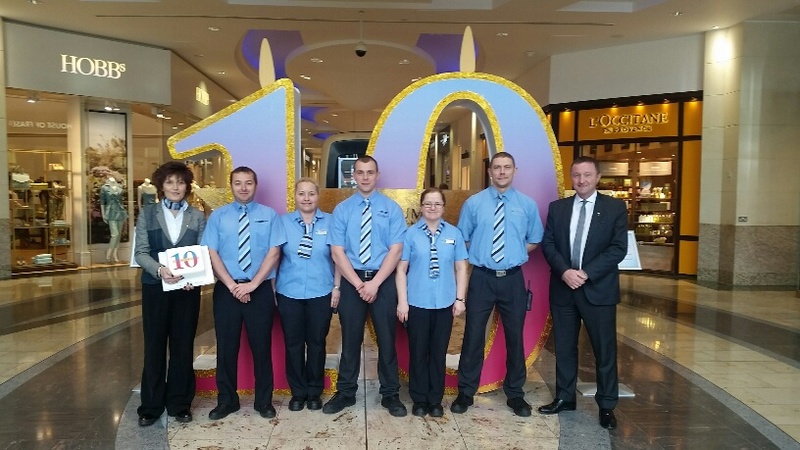 The 10th anniversary occasion was also celebrated with Dundrum shoppers who were treated to cupcakes and balloons. Momentum Support has been an integral part of the Dundrum Town Centre team since the Centre first opened its doors on March 3rd, 2005. Dundrum Town Centre has won international acclaim as a premium shopping location, and the partnership with Momentum has helped underpin this success, providing consistent and high-quality cleaning support in this premium retail centre. 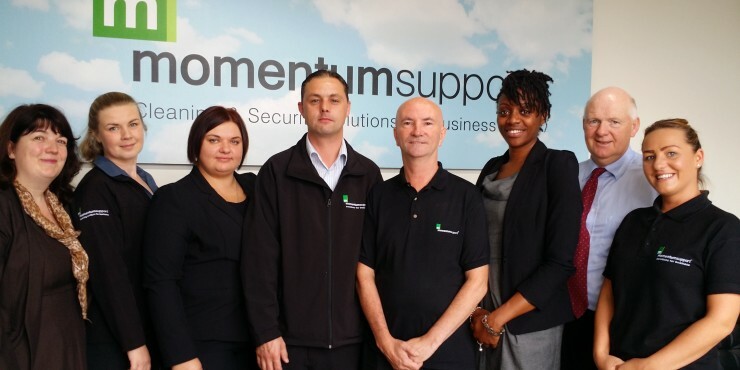 Over the years the Momentum Support team in Dundrum has evolved to meet the needs of the Centre, and their ability to be responsive was never more evident than in October 2011. The flash flooding of Dundrum Town Centre caused customers and staff to be evacuated and the Centre and all its retail units to close down. Momentum Support implemented an emergency action plan to deal with the resulting water and debris, and teams worked around the clock to get the Centre clean, safe and back open to the public in a short time. The entire Momentum team worked tirelessly to ensure the best possible outcome and it served to highlight the ability of Momentum to react swiftly and effectively to even the most extreme of circumstances. After celebrating the first ten years of the Centre, Momentum Support looks forward to another ten years of a great working relationship with Don and his team at the Dundrum Town Centre. In Mid-September, a young boy was with his mother in the Food Court Abbeycentre, Newtonabbey when he suddenly had an epileptic fit. His mother was very distressed as she was on her own. One of our Operatives Jean immediately raised the alarm and ensured screens were erected to encircle the young boy and his mother creating privacy. She stayed with the mother and young boy reassuring them until he recovered. She then arranged an exit through the service corridors again allowing privacy for the mother and boy. The next day the boys’ mother contacted the shopping centre and commended Jean on her quick reactions and how she supported her. A shopping voucher for Abbey Centre was presented to Jean for her efforts by Alison Walker (Account Manager) & Mark Stewart (Centre Manager) both pictured with Jean Welsh. Momentum Support offer more than Cleaning and Security Services, we also provide Silver Service for prestigious events, delivering first class standards on a regular basis for many clients. We also have qualified trainers that provide in-house training. 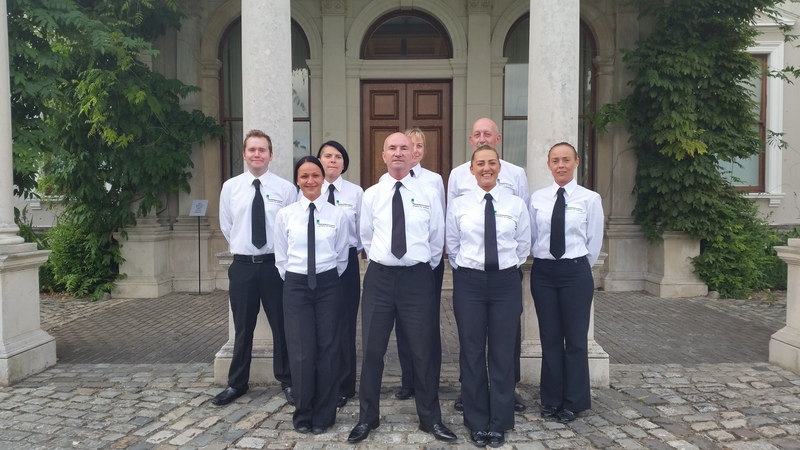 Above is a picture of our staff prior to their latest assignment providing Silver Service at a VIP dinner held at Farmleigh in September 2014. 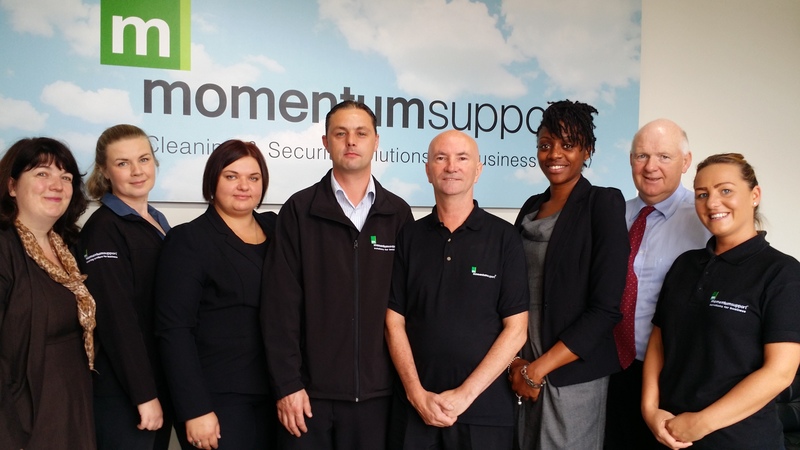 In May 2014 Momentum Support lead the way in training by introducing the British Institute of Cleaning Science, Cleaning Professionals Skills Suite (CPSS). Following BIC SC’s successful launch in the UK in 2011, the program is considered to be one of the most widely used cleaning qualifications in the UK and internationally. BIC Sc CPSS has been written by BIC Sc taking into account practices in the cleaning industry that have changed over time affecting both the cleaning task and the cleaning operative. It takes into consideration the developments within health and safety legislation and best practice expected within leading industries. A moment in time was captured at Momentum Support Ireland & UK head office as Colin Maybin (CEO) and Verona Pentony (Training Manager) celebrated with the newly successfully qualified BIC Sc CPSS Trainers. 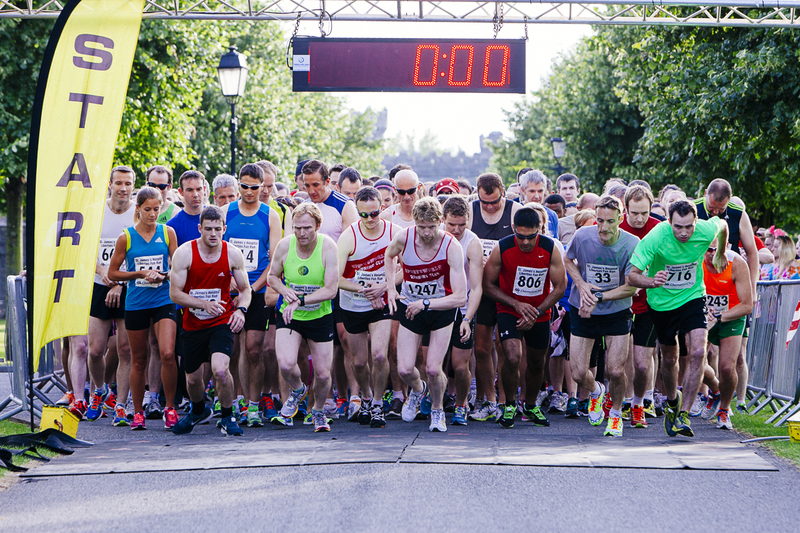 The sun warmed the backs of the Management & Staff of Momentum Support along with 1100 participants who gathered on Thursday 17 July in the Royal Hospital Kilmainham to ‘Run the Liberties’ in the 6th Annual St. James’s Hospital Liberties Fun Run. The course, which started and finished in the grounds of the Irish Museum of Modern Art/Royal Hospital Kilmainham, took in James’s Street, St. James’s Gate, St. Catherine’s Church, Thomas Street, Francis Street, The Coombe and the Guinness Storehouse. 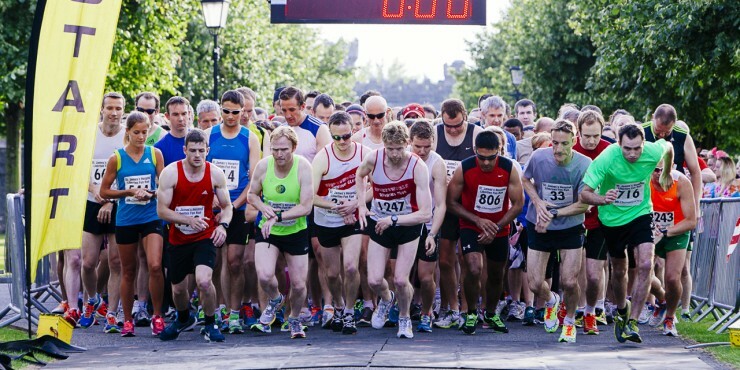 The turnout was fantastic (the precise number who registered for the race was 1096); Brian Fitzgerald, the hospital’s CEO, thanked everyone who had taken part in the event. He noted that thanks to the generosity of major sponsors including Momentum Support, all entry fees and sponsorship raised will directly benefit the development of family rooms within the hospital. Momentum Support was once again proud to be associated with such a successful, deserving event.